The DISC SmartPack™ Removable Media Technology offers the perfect solution to protect and manage bare optical media in and outside the DISC Optical Libraries. It provides protection and ensures the media is not damaged by the user when it is inserted or removed from the library. 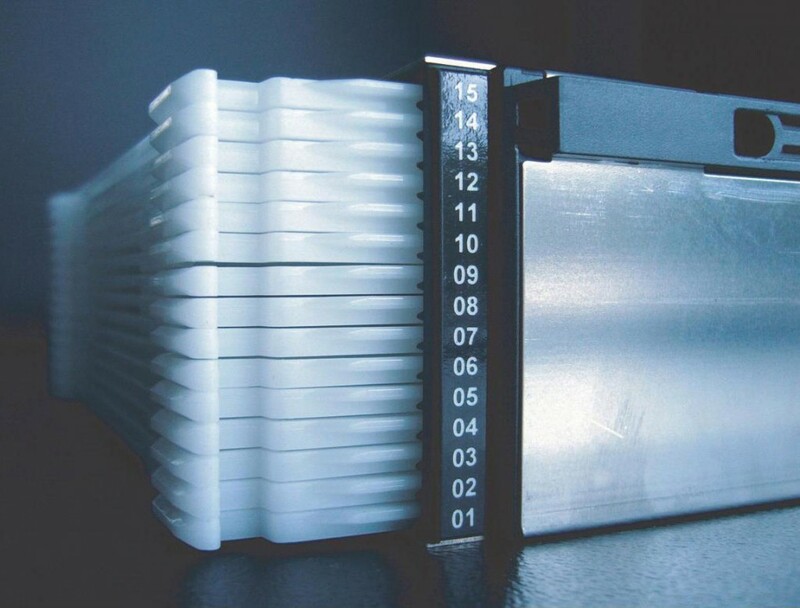 Each SmartPack™ can hold 15 media and is inserted into one of four locations on the front of DISC libraries. Light weight ergonomic design, only 720 grams and half height (5.25”) high.